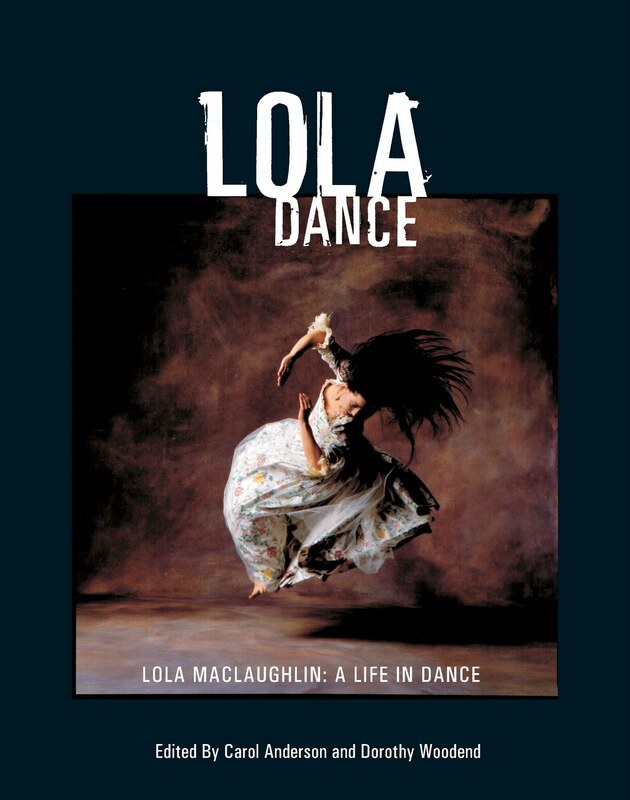 Lola Dance – Lola MacLaughlin: A Life in Dance. Photo: Susan Elliott in Lap Dogs and Other Restrictions by Lola MacLaughlin / Photo by David Cooper / Design and layout by Vancouver Desktop Publishing Centre Ltd.
Lola Dance – Lola MacLaughlin: A Life in Dance was launched at the Scotiabank Dance Centre in Vancouver on September 30th, 2010. The book, celebrating the life and work of the late choreographer Lola MacLaughlin is a collection of artifacts from her creative life, with essays from a group of artists close to her. Edited by Carol Anderson and Dorothy Woodend, the book includes contributions from Max Wyman, Susan Elliott, Brian Webb, Kaija Pepper, Mary Theresa Kelly and Stephen White. It was announced in April 2009 that proceeds from the book’s sales will go to the Lola Legacy Fund, a cash prize awarded to a deserving BC dance artist; all contributions received by October 31st, 2010 will be matched by The Department of Canadian Heritage.